Situated on the highest point of Sri Lanka’s hill capital, Hotel Topaz is an enchanting Kandy city hotel that offers luxury and seclusion in the regal city of Kandy. 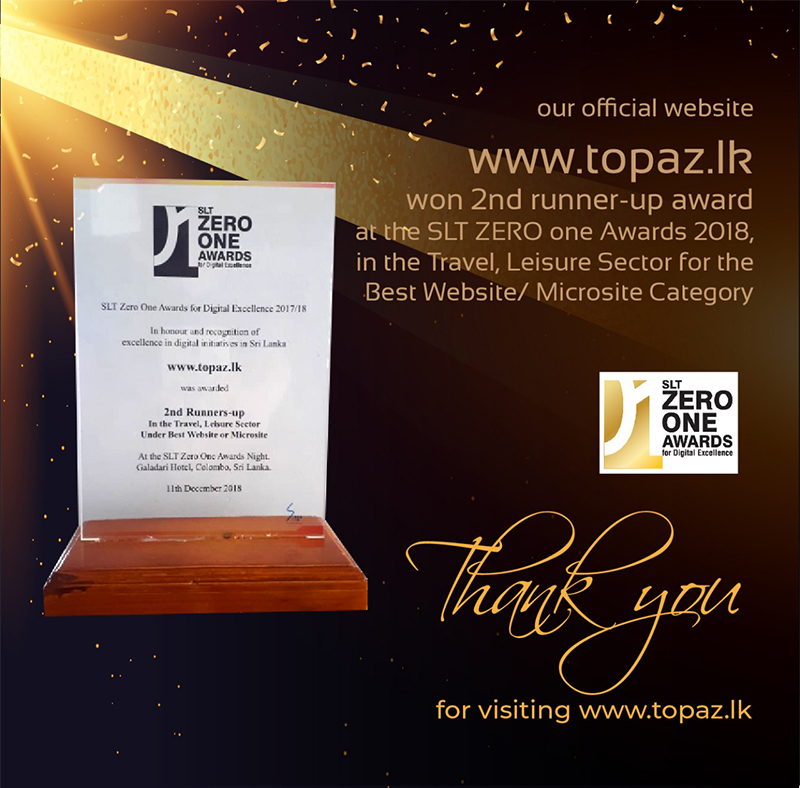 Breathtaking views, warm hospitality and lavish comforts await you at Hotel Topaz, one of Sri Lanka’s most renowned hotels. Amazing hotel, excellent staff that made us all feel so at home for our five night stay. Food excellent with lots of choice. Restaurant staff so friendly nothing was too much trouble.